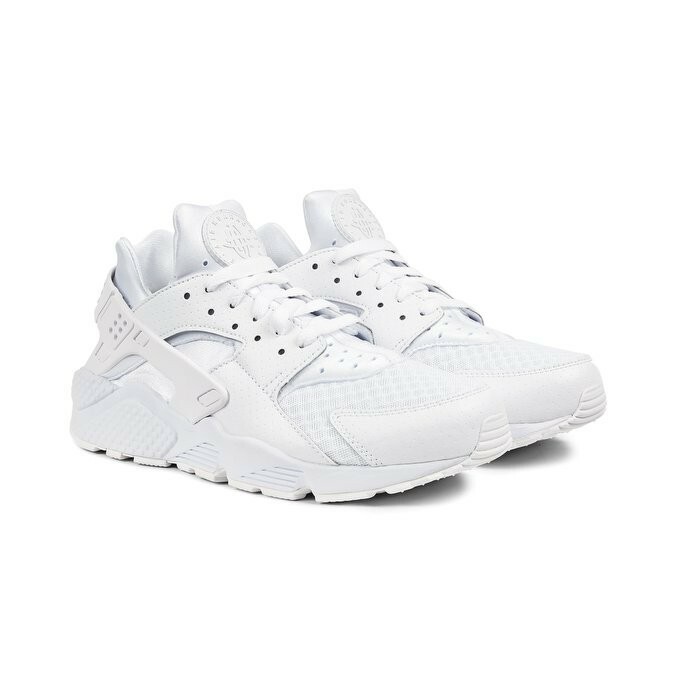 "The Nike Huarache is the brain child of Nike designer Tinker Hatfield. 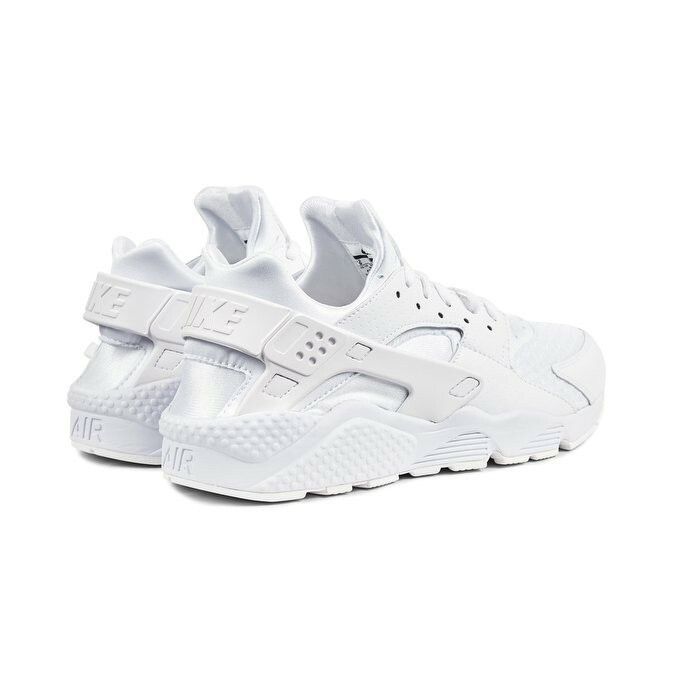 First released in 1991, the design was inspired of the Native American sandal with the same name. A classic that have stand its test of time. Has upper in mesh together with leather and the models classic neoprene sock-liner for a snug fit. 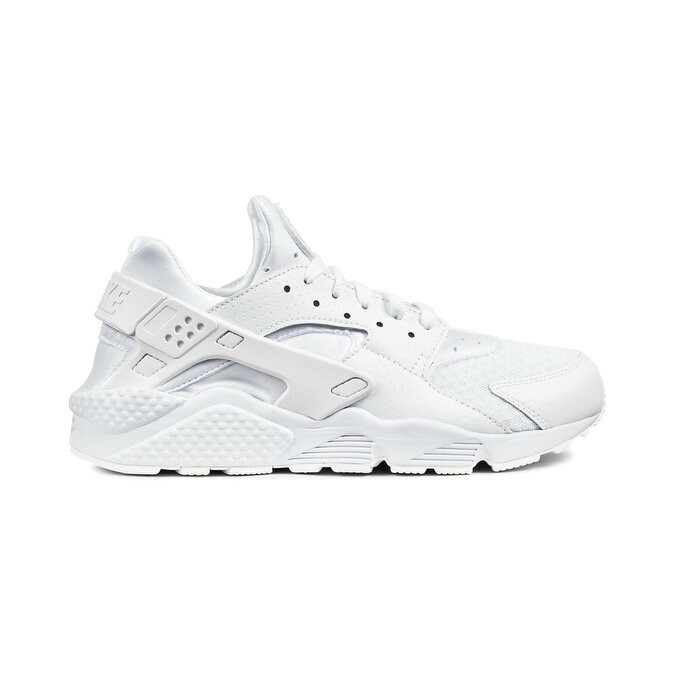 The Nike Air Huarache, previously introduced in the 1991, returns with the classic features in the new triple white colorway. 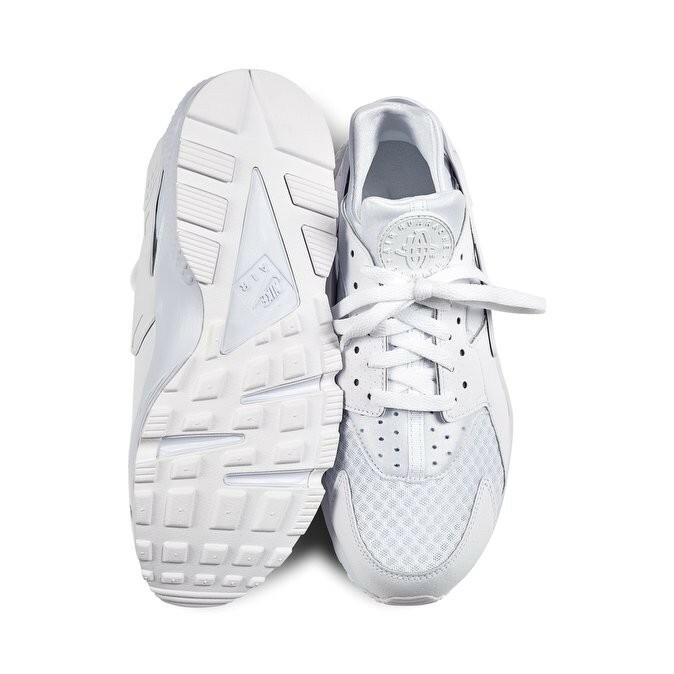 Original silhouette, neoprene footsock, embossed plastic ankle strap and leather and mesh upper. We suggest you to go up half a size on this model. "